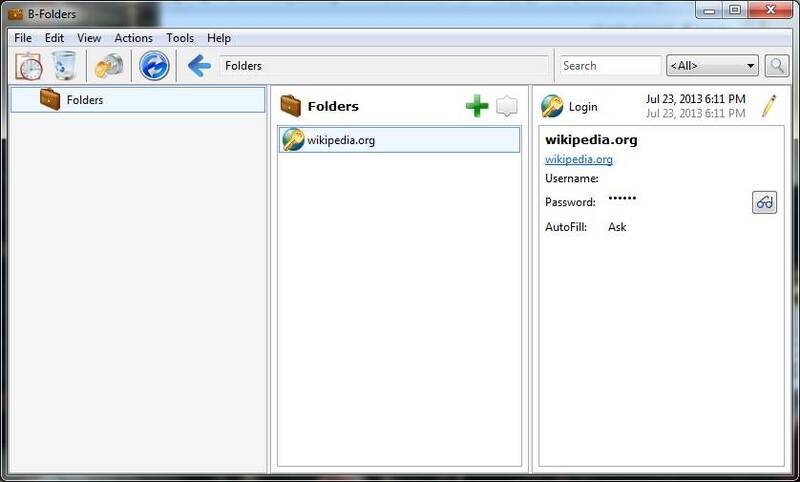 The Desktop Edition of B-Folders can greatly assist you when signing up for a website account by generating and auto-filling a strong password in the registration form and capturing the login information in a "Login". The saved Login will be used later for auto-filling the username and password and logging in to the website. 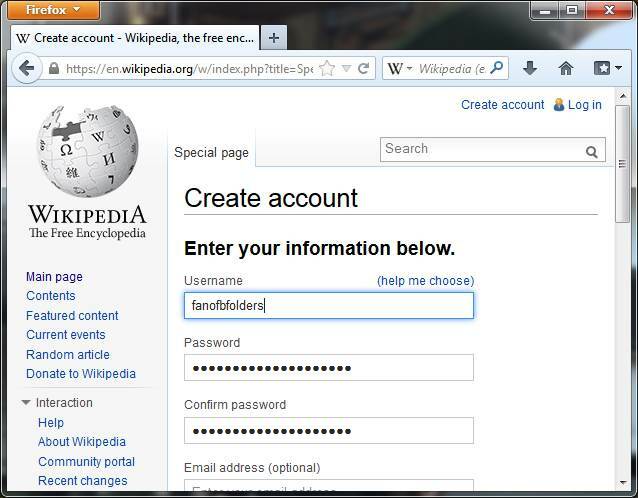 Here is an example of the process - signing up for a Wikipedia account. By pressing the OK button, the generated password will be auto-filled into the two password fields on the sign up form. 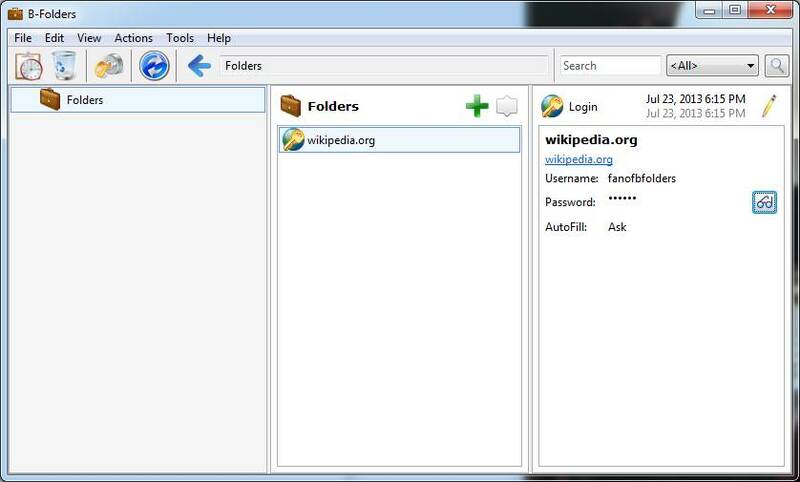 B-Folders automatically saves the generated password in a Login item as a backup, in case capturing the login info later fails. You then fill in a username and submit the sign up form. 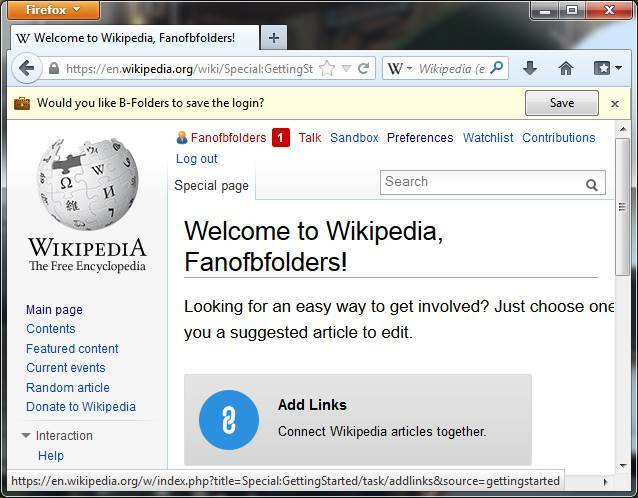 When the user account is created on the Wikipedia server, the B-Folders web browser extension will offer to save this login info for you. When the Save button is pressed, the username is added to the Login. 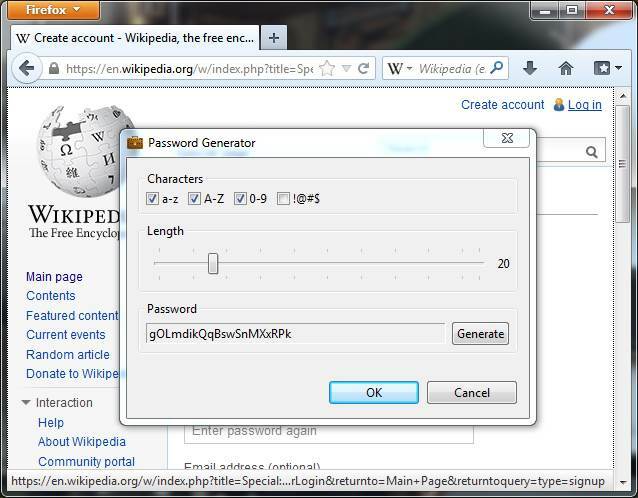 There is now a Login item for wikipedia.org that can be used to auto-fill the username and password when needed to log in to the Wikipedia website.